New Union Christian Church is affiliated with the Christian Church, Disciples of Christ, a movement for wholeness in a fragmented world. Click here if you’d like to learn more about Disciples of Christ identity. to promote peace with justice in our world. We affirm the uniqueness and worth of every person and welcome all persons to the life, worship and community of this congregation. We extend Christian hospitality to all. Our congregation offers a traditional worship service with the weekly celebration of the Lord’s Supper combined with a reasoned and experientially based approach to Christianity. 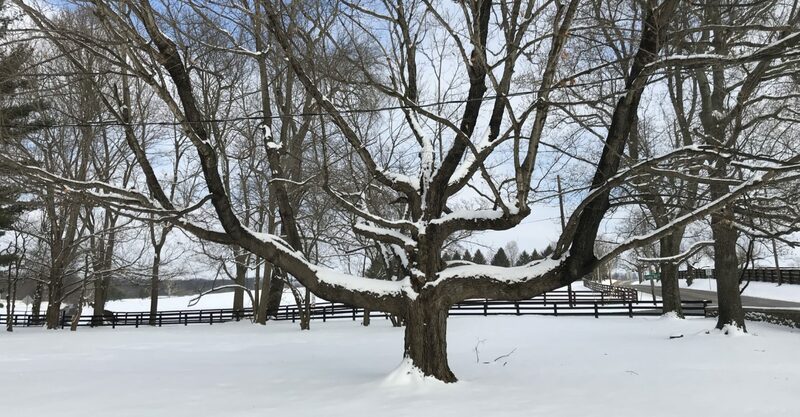 In a time when modern life overflows with too much busyness, New Union, with its simple beauty and pastoral setting, seeks to be a place of peace, serenity, caring community, and hope. 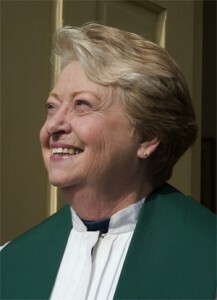 Our Minister: The Rev. Dr. Deborah Phelps began serving as minister of New Union Church on September 1, 2017. Pastor Deb is a graduate of Christian Theological Seminary in Indianapolis and a former secondary school teacher with a specialty in chemistry, physics, and other sciences. Pastor Deb is one who challenges our members and visitors not to leave our brains at the door, and to find effective ways and creative ways to work together despite our diverse backgrounds and interests. Deb has special interest in Disciples of Christ and Stone-Campbell history, thelogy of disability, reconciliation ministries, and online and video ministry. She is co-founder of DisciplesNet Church, an online church for perosns not able to attend a physical church. Deb and her husband Dean moved to Versailles, Woodford County in January 2017. Dean is also a Disciples of Christ pastor and is a singer, songwriter and guitarist. Anne Sessa began serving as Music Director and Organist at New Union Christian Church in January 2017. Anne’s career has led her to be a conductor, singer and organist. She has held the position of Music Director for several large churches, including First Presbyterian Church, downtown Pittsburgh. During that time she also was conductor of the Bower Hill Chorale, performing many major choral works often accompanied by the Pittsburgh Symphony Orchestra. In 2000 Anne was appointed conductor of the Seaglass Chorale in Maine and the large children’s chorus Seaglass Kids. She later became conductor of the Southern Maine Chorale. In 2004 Anne moved to Canada where she became conductor of the Greater Moncton Chorale. In 2008 she moved to Fredericton, NB and became conductor of the Bel Canto Singers for eight years until her move to Lexington in 2017. In addition to her church and conducting work, she has been alto soloist with a number of symphony orchestras including the Pittsburgh Symphony. She holds degrees in organ, voice and conducting. Catherine “Caty” Graham began as our Children’s Director at New Union Christian Church in February 2017, revamping our children’s program. 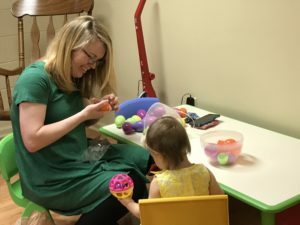 Caty has worked with children much of her life and is beloved by our children, their families and the church. Caty works 10:30 -12:30 each Sunday, and begins at 10:00 on the First Sunday of the month when we have a brunch. Rev. 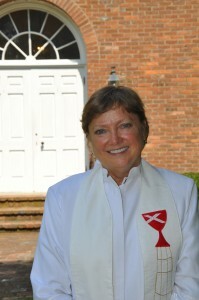 Dr. Nancy Jo Kemper: In 2017 the congregation voted to name Rev. Dr. Nancy Jo Kemper as Minister Emerita of New Union Christian Church after her faithful service of 22 years (1995-2017) . Rev. Dr. Kemper also served as Executive Director of the Kentucky Council of Churches. A graduate of Transylvania University and Yale Divinity School, Rev. Kemper was awarded an honorary Doctor of Humane Letters degree from Transylvania. 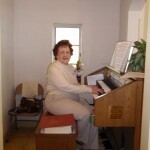 In Memory: Martha Jane Stone was the much loved organist at New Union Christian Church who served from Easter 1938 until her death in December 2016. During her 78 years of service, which we believe to be a record, Martha Jane served with seven ministers and played three different organs. Martha Jane earned degrees at Transylvania University, the University of Kentucky, and continued studies in music at the College-Conservatory of Music in Cincinnati. She was also a member of the Lexington Philharmonic Orchestra’s ‘cello section until 2010. Our church got its beginnings in 1834 when a group of Baptists who were members of Mt. Vernon Baptist Church (also located on Old Frankfort Pike) separated from that church in a dispute over their desire to hear an itinerant evangelist who was presenting the ideas had emerged from the Stone-Campbell movement for Christian unity, that had its genesis in the Cane Ridge (KY) revivals in 1800 and in the burgeoning Enlightenment philosophies brought to America. For a period of about 5 years, the separated Baptists met in their homes. It is said that some of the wives of the men who were pursuing these new ideas were not happy about it, and so would often leave their petticoats to dry on the fire screen when the men gathered in an attempt to embarrass them and subvert their meeting! In 1839, a brick meeting house, plain in design and simple in its architecture, was erected on a plot of land near Elkhorn Creek. Over the years, the church grew to its largest size with a membership of 90+ adults. Around 1850, the congregation delegated a number of its members to be the founding members of the Midway Christian Church, and Dr. L.L. Pinkerton, the pastor at that time of New Union, went with the delegation to form the new church. The original meeting house stood until 1960 when it was determined by architects that a new roof could not be installed on the building without the walls collapsing. Several of the members took the responsibility of razing the old building, which had no running water, and which had only had electricity since 1952. They saved the old bricks and the pews, and these were utilized in the new building that was erected on the same footprint as the prior structure. The new building was erected and dedicated in 1963 with great faith that the church would continue to exist in the future. It included an undercroft with a kitchen, a nursery room for small children, space dividers to create additional classrooms, two bathrooms (to replace the outhouse—a real luxury), and a larger entry way. The glass in the windows reproduces antique wavy glass and is very faintly tinted in hues of yellow, pink, and blue. There are two round windows in the building, at the front, above the divided chancel, and over the entry doors. In the outer circle, there are 12 panes of glass representing the 12 disciples; in the inner circle there are four panes of glass, representing the four Gospels. The center frame of the window forms a cross. Other than symbolism embedded in the round windows and a modest-sized brass cross behind the simple communion table, the building has no other religious symbols, denoting the lack of need of such symbols to mediate the sacred to the worshipers, who may find it in the fellowship, the worship, and the immediacy of nature as seen through the church’s large windows. The communion table has center-place, suggesting that our remembrance of Jesus, the one whom we seek to follow, has primary importance in the congregation’s life.